The best part of living on the Sunshine Coast is just that, living on the coast. Our region has been blessed with some of the best of nature’s offerings in our pristine and picturesque beaches, and breathtaking mountainous nature reserves. Every holiday season people come from all around our great land, and sometimes ever further afield, to potter around and sleep under the stars – truly enjoying that which makes our region so special. Sometimes living and working here on the coast you forget exactly what lies beyond your front gate, local coffee shop and the two blocks you walk to the gym. It’s time we all had a reminder, and started breathing new life into those dreams of travel you once had – just you and your best girl, and the open road. 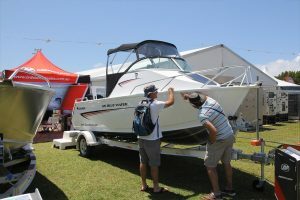 The Sunshine Coast Home Show, Caravan, Camping & Boating Expo returns this October 13th to the 15th to bring to you the things dreams are made of, and the opportunity to realise them. The wife and myself have long talked about how “One day” we’ll pack up in a caravan and go where we will, setting up camp under the stars and really enjoying our beautiful country once again, like we used to when we were young in the back of the old Kombi-van. “One day” has been a long time coming, but hopefully this year we’ll find exactly what it is we’re looking for to spark this talk of realising our dreams into reality. We’ll be there, this October for the campers and caravan exhibitors, but for those still building their nests there’s plenty on offer as well. Personally, we’ll be beginning our visit with ModCon Campers. 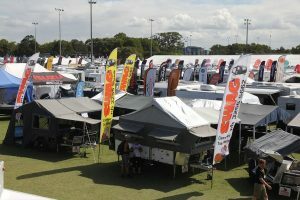 One of two featured Camper exhibitors, ModCon began life designing and building their creations right here in Queensland’s Capalaba and have gained a reputation for being innovative, and most importantly, rugged – designed for the Australian market. 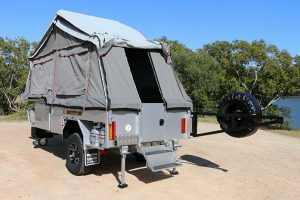 Since the company’s inception, they have pioneered and popularised many different designs that have taken the marketplace by storm, but none as strongly as the ‘Forward Folding’ camper that has since become arguably the most popular design available on the Australian market. There will also be a visit to the Mercedes-Benz exhibition, as they show off their full range of vehicles – including some amazing vans that can be used as a daily drive Monday to Friday, but also be fully equipped to become your weekend getaway – should you have Mercedes-Benz money. Of course, there’s plenty more on offer over the exhibition weekend to suit any getaway seeker’s fancy, or those simply looking to make life a little easier, and a little more luxurious. 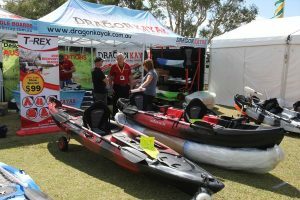 From Camper vans and caravans to boats, barbecues, pools and your business marketing needs – there’s something for everyone at the expo this year. 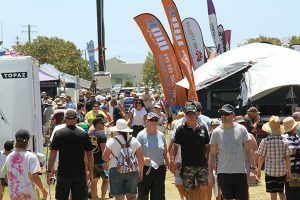 For more information on the exhibitors and the expo itself, visit the website and start living your dreams at home, or further afield.